The UK government is considering doubling the number of troops deployed in Afghanistan in response to a request from Donald Trump for reinforcements in the face of increasing gains by the Taliban. Britain has about 600 troops in Afghanistan at present, mainly based in Kabul training officers and not engaged in combat. There is also a small contingent of special forces. The new deployment could see hundreds more return to Afghanistan. The UK withdrew almost all of its combat troops from the country in 2014. 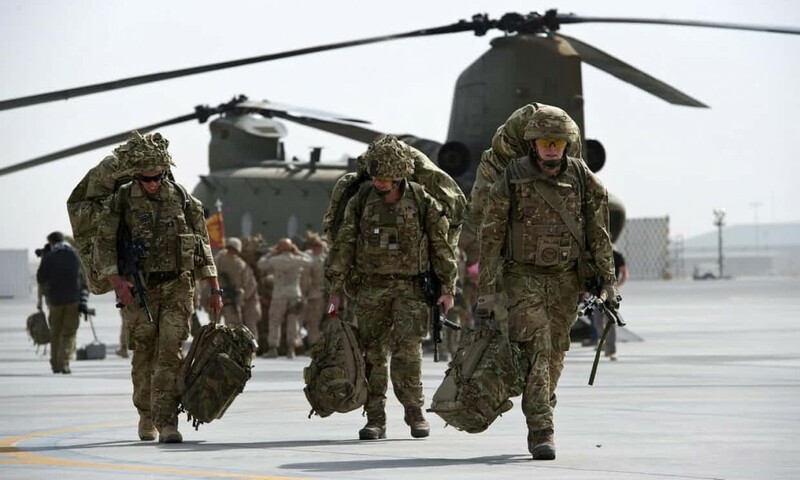 Faced with a Taliban resurgence, the US, which has about 15,000 troops in the country supporting the Afghan military, asked the UK and other Nato countries last summer to send reinforcements. Britain responded with an extra 85. The Ministry of Defence, which usually does not discuss troop deployments in advance, said only that the UK’s contribution was kept under constant review. The reduction is down to factors including a series of budget squeezes computer glitches on the part of Capita, to which the MoD outsourced recruitment, and low morale. The MoD’s annual armed forces continuous attitudes survey revealed that 61% of service personnel described morale as low. An MoD spokesperson did not directly address the shrinkage but said: “We are currently active on 25 operations in 30 countries around the world and have enough personnel to meet all our operational requirements. In the past year, we have recruited over 13,000 people into a variety of posts and we have a range of initiatives to make sure we attract and keep the personnel we need.